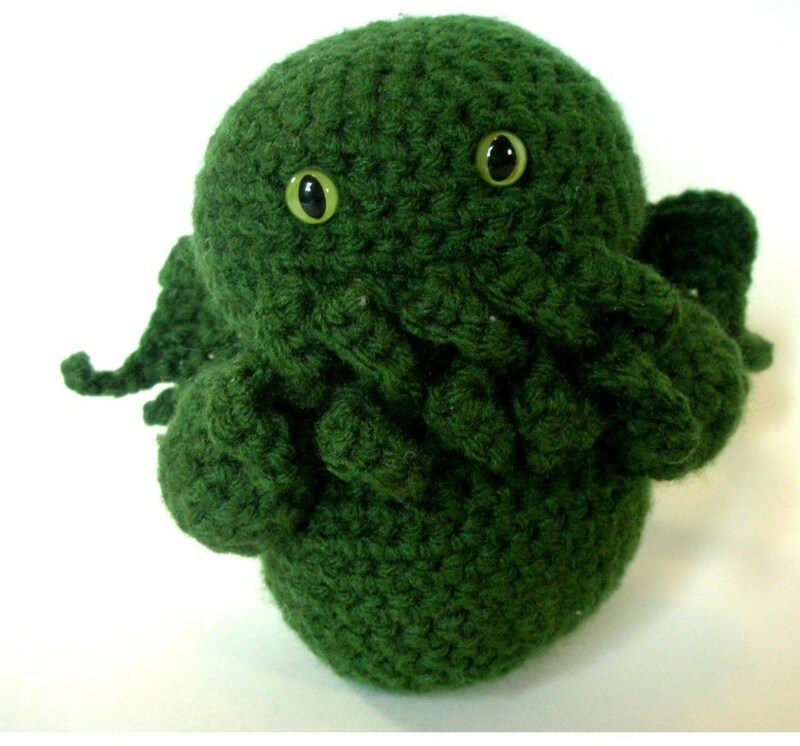 Get Your Own Cuddly Cthulhu! 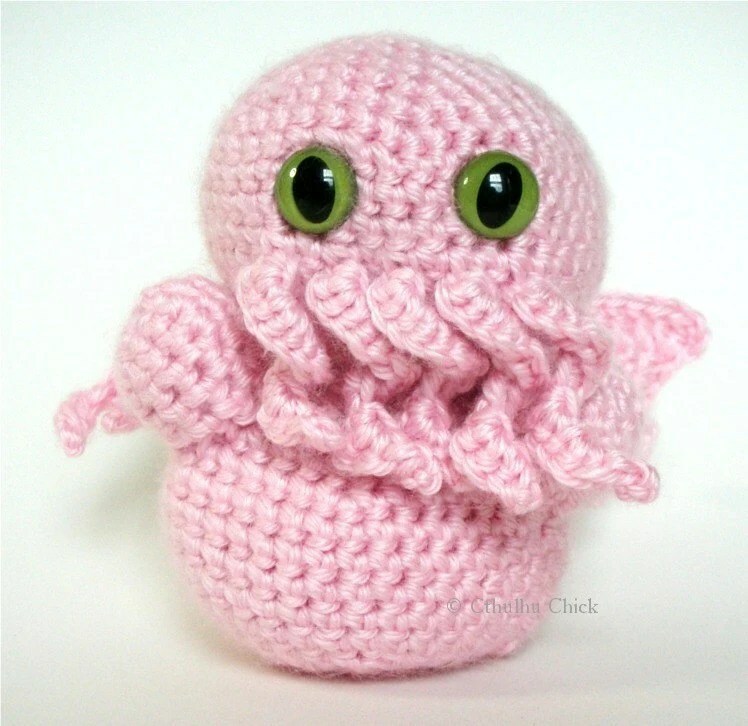 Following up on the two other Lovecraftian posts (del Toro movie and podcast) I felt it was about time I did this post about Cthulhu Chick. 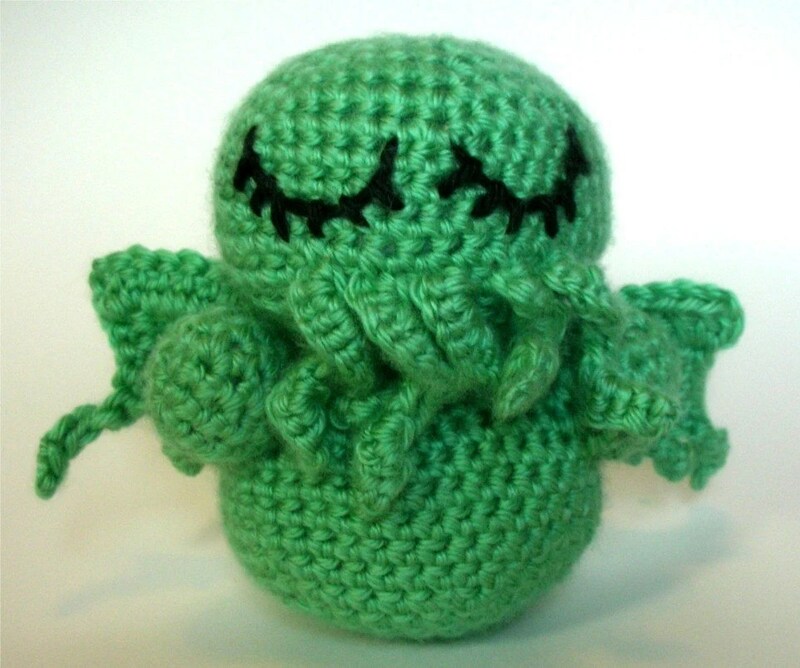 Ruth makes these adorable and abominable crocheted Cthulhu! 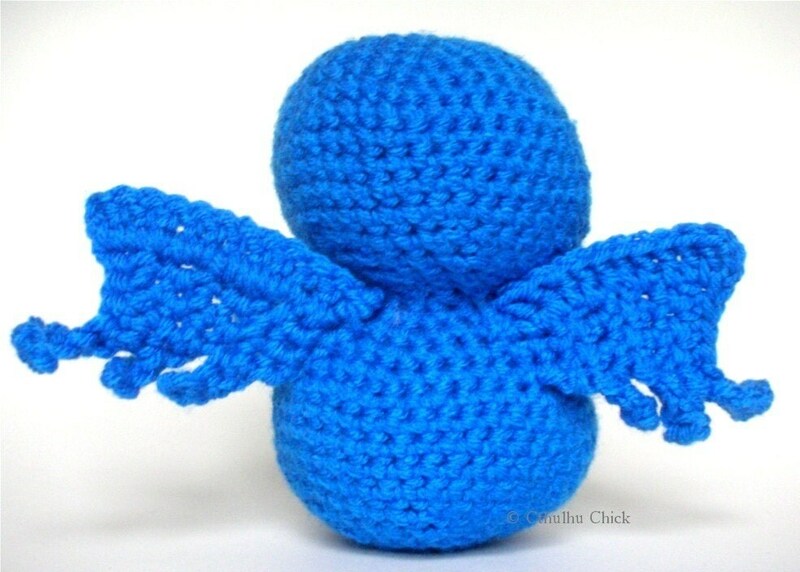 I plan on getting one for me (pink of course) and my brother since we both love us some H.P. Lovecraft. 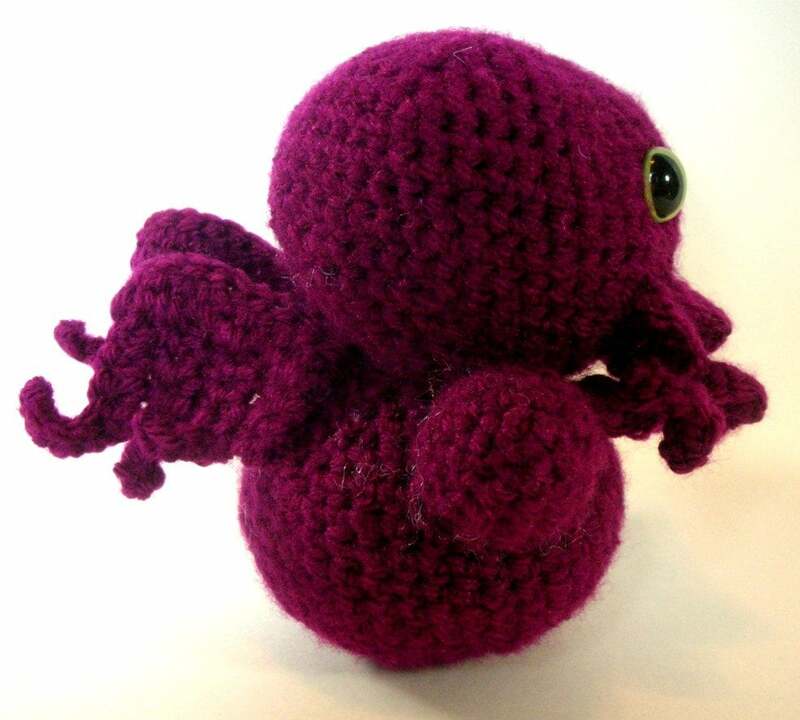 These cute little creatures cost $17.50 and are all handmade you can get yours on her Etsy page and follow her on Twitter @CthulhuChick. 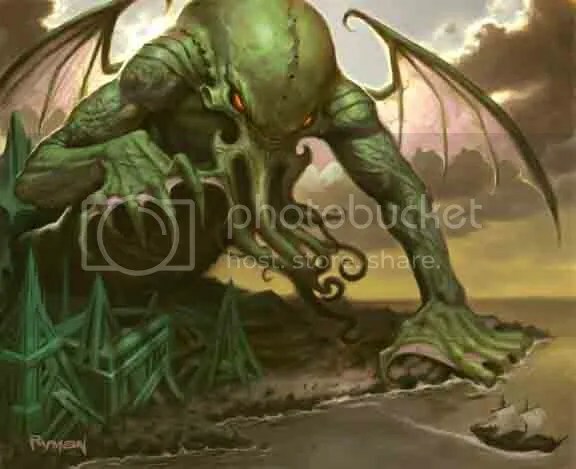 Also I discovered this Cthulhu emotion while getting lost in google (;,;) how cute!